I’m a big fan of piñatas. Not the kind with the silly pull strings. I want a REAL piñata. The biggest, prettiest, most outrageous piñata imaginable is the one that catches my eye. When we were living in Mexico, the girls always had so much fun going to the market to look for their piñata for their birthday parties. There were complete rows of the market full of huge piñatas. Every character and shape imaginable was there. The piñata artists, who are usually men, could take a special order to create a piñata in whatever shape or character you wanted. The possibilities are endless. 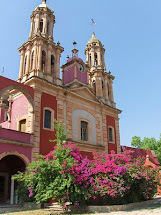 Piñatas in Mexico are made with a large clay pot in the center. The pot is then covered with paper mache and other pieces of cardboard, covered with paper mache as needed. 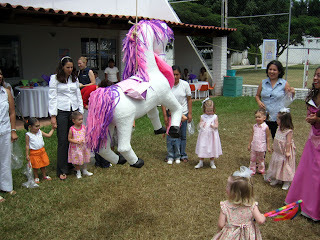 Then, the piñata is decorated with tissue paper, the paper mache is painted, or a combination on both. 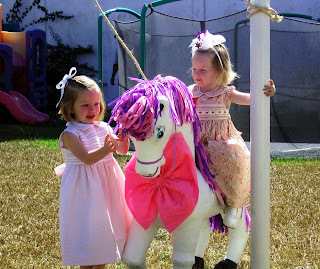 The girls LOVED this "princess pony" piñata. The piñata maker usually carves an opening in the top of the piñata for the candy or brave parents can do this for themselves with an exacto knife. Of course, I always had the kind man open a space for me. There is no trap door on the bottom of the piñata. It has to be broken to get to the candy. ¡y tu tiempo se acabó! Isn't Natalia cute on her princess horse!? After all of the children have hit the piñata, a strong man is summoned to break the piñata with a baseball bat or other large object. All of the mothers keep their children back from the swings of the bat, while the children eagerly wait to pounce on the candy. At Christmas, the more traditional star shaped piñata forms an important part of the “Posada,” a party that celebrates Mary and Joseph’s journey to look for a place to stay. A religious symbol, this star shaped piñata has seven points that represent the seven deadly sins. The bright colors of the piñata symbolize temptation. Although the blindfold is not always used, it represents faith and the stick is virtue that overcomes sin. The candy inside the piñata symbolizes the riches of the kingdom of heaven. 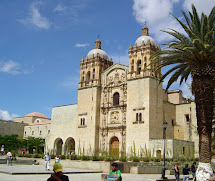 The Spanish blended the Catholic faith with Indigenous traditions. Have your children ever incorporated a piñata into their birthday celebration? How fun! You must tell us how you and your family ended up in Mexico for ten years. It may take a few blogs, but I know it would be a fascinating read for us all! fun! I love pinatas! I have decorated with them during parties! no kids yet.. but adults love them too!! Bethany, your girls were the cutest when they were little! 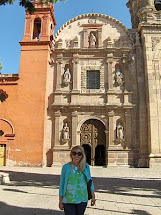 My kids are so excited to make their own pinatas when we visit Mazatlan. 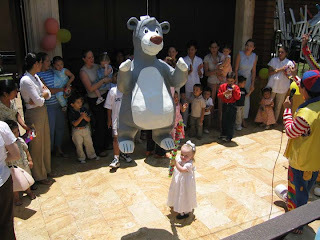 @Risley Some of the best parties I have attended had pinatas for adults! So much fun to watch grown men and women dive for candy! Of course, I was right there with them. @Elizabeth What fun! I bet your kids LOVED that and that they were treated so nicely. My sister-in-law is from El Paso so a pinata was a must at my niece's first bday. The children had so much fun swinging at it. They had it on a rope thrown over a tree limb and there was a man holding on to the other end of the rope moving the pinata up and down while the children swung at it--do y'all do this too? It made it hard to hit the pinata but it was a lot of fun to watch the little ones try so hard!